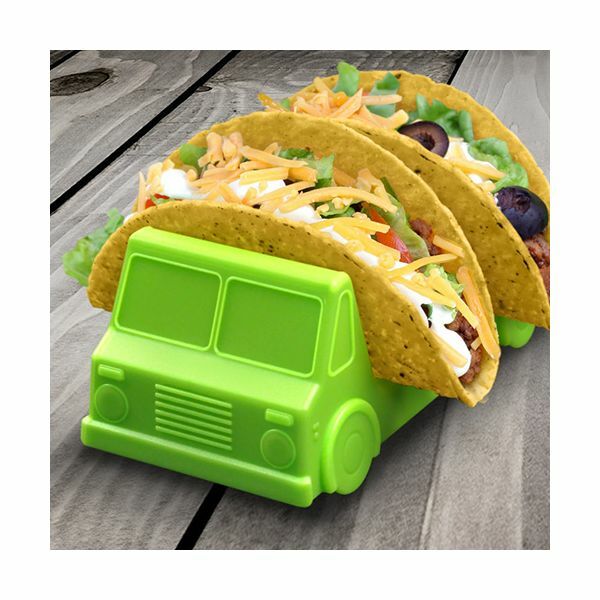 A bright, colourful and fun way of serving tacos. Fill and stack your tacos with meat and vegetables and stack them on the back of these taco trucks. 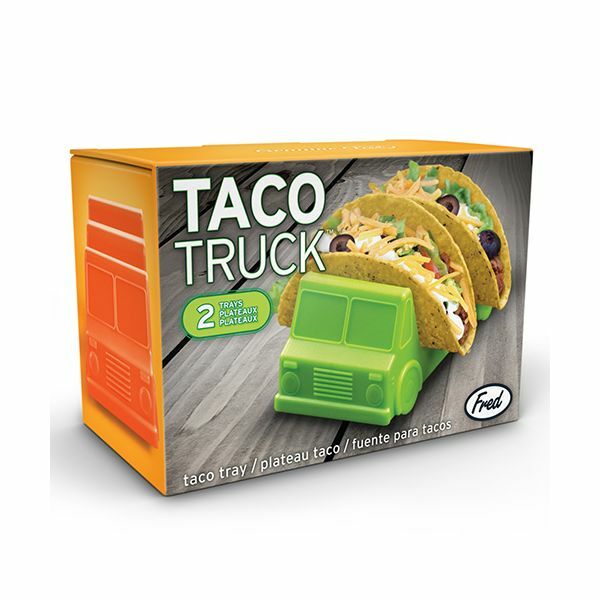 Each truck holds 2 tacos and are a fun way to serve tacos to kids. 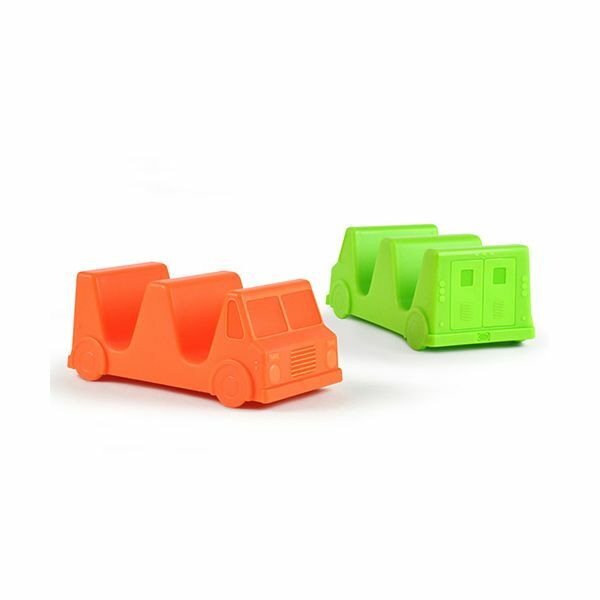 Each set includes a salsa red and a guacamole green truck.